Wearing your seat belt is the best thing you can do to protect yourself from serious or fatal injury in a crash. Every seat, every time. In a crash, any unbuckled person becomes a deadly missile. In a 30 mph crash, a person not wearing a seat belt can have as much force as a small SUV. An unbuckled person flying through the car can seriously injure or kill other passengers. Seatbelts saved 13,941 lives ages 5 and older in 2015 (NHTSA, 2017). Not wearing one can be deadly. 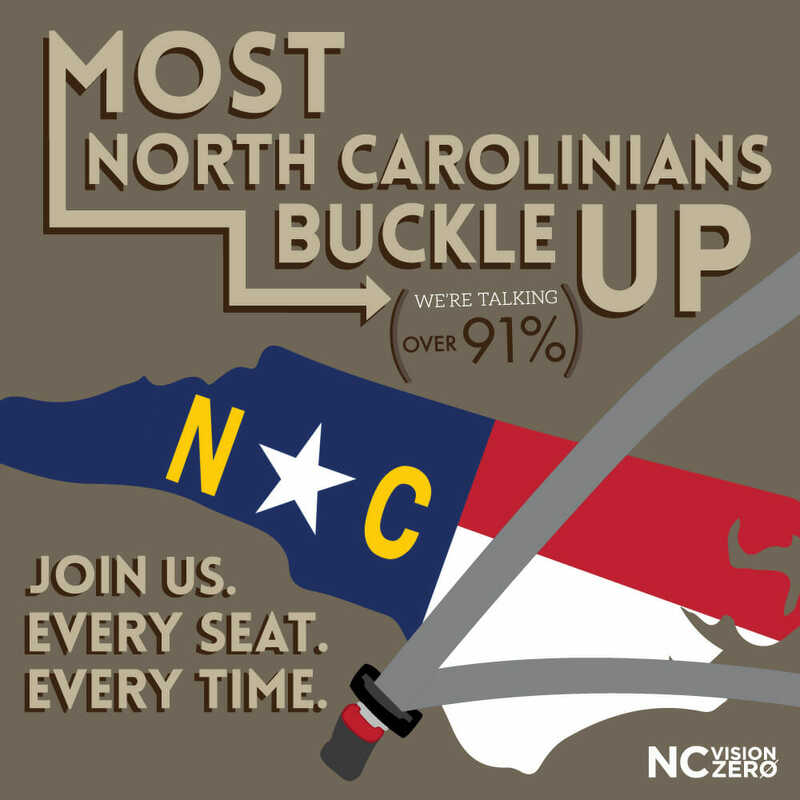 In 2016, 42% of people killed on North Carolina roads were not wearing a seat belt (NCDOT). Without a seat belt, a person is 30 times more likely to be ejected from a vehicle. 80% of passenger vehicle occupants who were totally ejected from vehicles were killed (NHTSA, 2017). Not wearing a seat belt can cost you $179 or more.